What is Driver Verifier? How to Use it? Should We? In Windows, There are some tools that are unknown to most of the general users. Driver Verifier is one of them. In this article, You will know what it is, how to use it and reasons you should or should not use it! 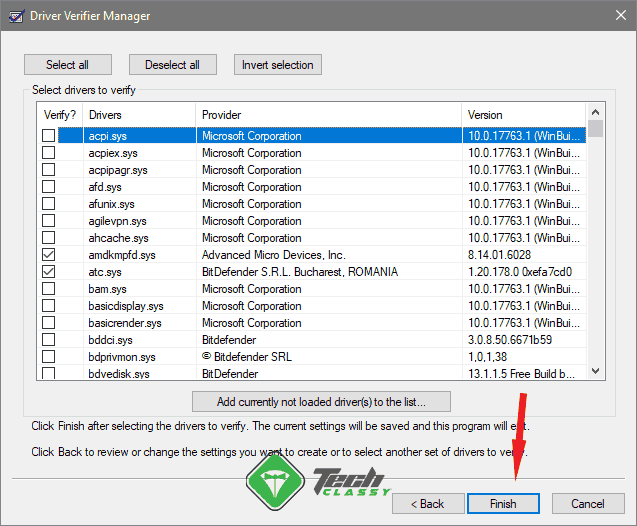 The driver verifier is a built-in tool in Microsoft Windows that is specially created to find out driver bugs. Microsoft first debuted this tool in Windows XP. Since that, It is included in all Windows. Developers use it to stress and monitor Kernel mode and graphics drivers. It detects the illegal function calls and actions by drivers. Improper driver behavior causes so many problems on your PC. Driver verifier just detects these behaviors and help the developers to fix bugs. It also helps users to find out the problematic drivers. Should Common Users Use Driver Verifier? It is a very common question. The answer is yes and no both. In some cases, The users with technical knowledge can use it. But, In most cases, It is not recommended to touch driver verifier. So, You may find many reasons to avoid using it and also a few reasons to use it. Here are some points that can help you to understand better. This tool stresses the drivers to find out driver problems. In many cases, it ended up finding bugs. But, That doesn’t mean you will encounter problems when you use your Windows 10 computer normally. But, Yes, You can find using this tool helpful. It stresses drivers, one of them behave improperly as a result, Windows may crash. Then, You can be happy to know that you have found the culprit driver. But, What will happen when you encounter a blue screen of death every time your PC boots up completely? You will go through a blue screen loop. Then, You will have to boot into safe mode and disable driver verifier. But, Sometimes, You may need to re-install windows to overcome this situation. In fact, The driver verifier is for the developers who are creating drivers. Developers use it to find bugs and problems in the development stage. It means it only find the software related problems. Not a hardware problem. Else, Developers made many tests before releasing driver for Windows. It means All of the drivers on your PC are well tested by this Driver Verifier tool. So, It may be useless for you to use this tool unless you have installed drivers from an unreliable source. It’s true. Driver verifier can only find out problems. It can’t fix any bugs. It is the developers who can fix. General users just can uninstall or update drivers. That may temporarily give the satisfaction of not getting further driver related problems. But, It is not a perfect solution for you. To detect what causes the blue screen of death, you may analyze memory dump. If you wish to run driver verifier, I suggest to create a system restore point. Then, Follow these instructions to use the driver verifier. You can launch it very easily. All you will need to follow these steps. At first, Open the start menu. Now, Type verifier and press enter. It will open the Driver Verifier. 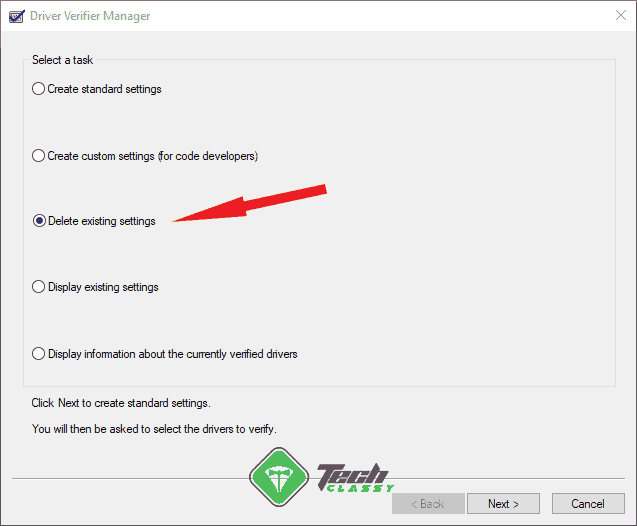 Anyway, After opening the driver verifier, you will see several options. You can choose any of them according to your needs. But, If you want to stress drivers and detect problems, you can choose “Create standard settings” and then click on Next. Now, You will see several options. You can choose any of these options. But, These works differently. For example, “Automatically select unsigned drivers” will check for any unsigned drivers on your PC. “Automatically select drivers built for older versions of Windows” will check the drivers for old windows. 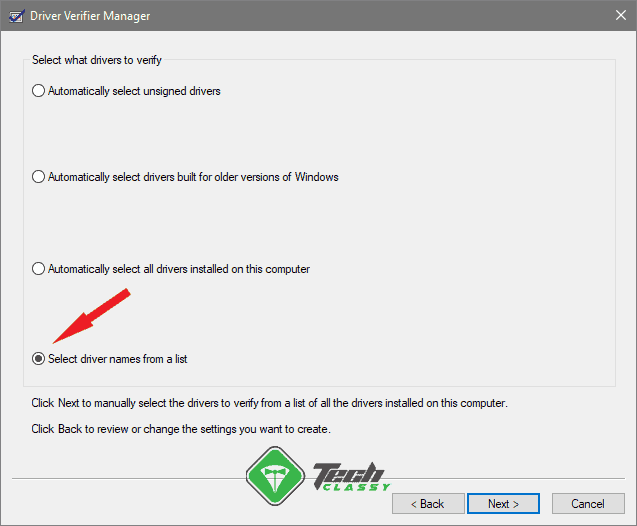 “Automatically select all drivers installed on this computer” will monitor all drivers installed on your PC and detect any violations. But, You don’t usually need to stress all drivers especially the Microsoft Drivers. So, You should choose “Select driver names from a list” and click on Next. Now, You will see the driver list. You can select one or multiple even all drivers. But, You can select all except Microsoft Drivers. After that, Click on Finish. After configuring, you will need to restart your computer. From now, Windows will stress the selected drivers. Just, Keep using your computer normally. You may encounter problems like the blue screen of death if any of the drivers create any problem. You can stress drivers one by one to understand which one is problematic. But, If you stress multiple drivers, you should analyze the memory dump. If blue screen of death occurs, analyzing memory dump will help to know which driver has created it. 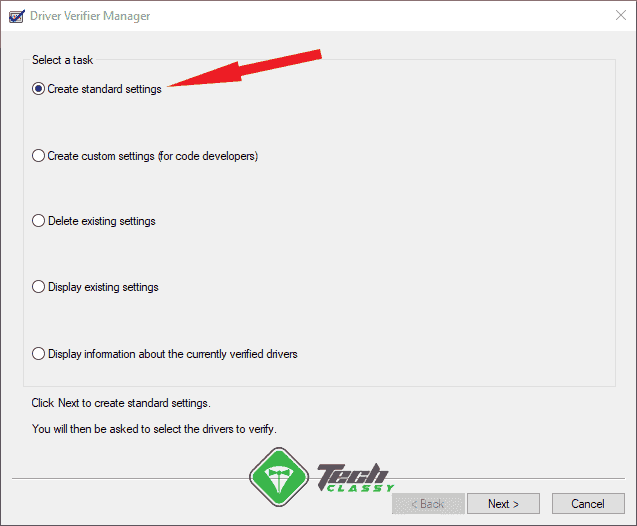 After your test is complete or if you encounter problems more frequently, you can disable the driver verifier. It is very easy to do. But, If the blue screen of death appears before windows boots normally, you will have to boot into safe mode first. To disable, follow these steps. 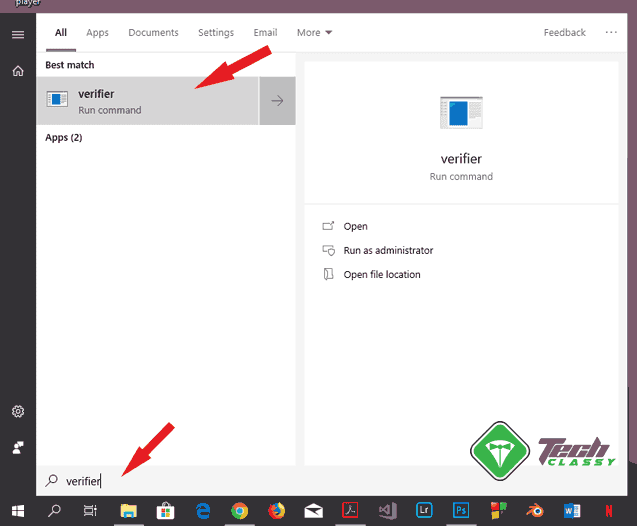 At first, Open the driver verifier like before. Now, Select Delete Existing Settings and click on Finish. If you can’t disable, you will need to restore your system in the recovery environment. You can control this tool by some commands using command prompt or Windows PowerShell. To do it, you can open either PowerShell or command prompt as administrator. In the start menu, type cmd, right-click on the command prompt and choose run as administrator. It will open the command prompt with admin rights. To open PowerShell, you can press Win + X and choose Windows PowerShell (Admin). By the way, After opening any of them, you will have to execute commands. To launch it, use the following command. Should you use it or not? The question is controversial. But, In some rare cases, You may use it. You have already got the basic tips to use driver verifier. Hopefully, This article will help you.